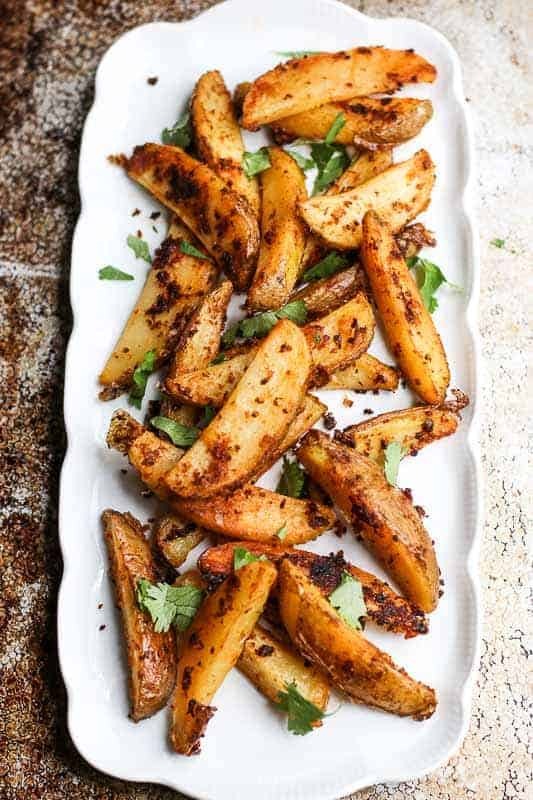 These Moroccan-Style Crispy Roasted Potatoes have a sweet and soft inside with a savory, salty crunch on the outside. The trick to preparing crispy roasted potatoes flawlessly is parboiling, steaming, and then roasting them. After taking your first bite, you will quickly discover the extra steps are worth the additional effort. For years I could never get my crispy roasted potatoes just right. If I cut them thick, the outside would cook to a beautiful crisp, but the inside would often be underdone or hard. If I cut them thin; cooking them to a crisp on the outside led to a dry, leathery center. And then I learned the nifty trick of parboiling and all my potato wedges became masterpieces. Parboiling allows the center to cook just a bit. Then when you roast them, the center will be perfectly soft when the outside crisps. Steaming them to cool down before slicing them retains the moisture inside the potato so they don’t dry out when you cut them to roast. Result: PERFECTION! The sundried tomato tapenade adds a tasty, salty, rustic flavor that really liven up the crispy roasted potato. The tapenade is simple to make. Just throw the ingredients into a blender and BAM! You have an amazing tapenade. However, you want to add the tapenade about half way into the cooking. If you add it too soon, the garlic will burn and the amazing tapenade will turn into a burnt, smoky, not so great tapenade….. This Moroccan-Style Potato Wedges recipe was included in my “Tapa Time!” article for City View Magazine along with Bacon Wrapped Dates Stuffed with Manchego, Mussels with Sofrito, Pomegranate Red Wine Sangria, and Spanish Garlic Shrimp. These easy Tapas recipes are incredible! Just try them. You will thank me for it! 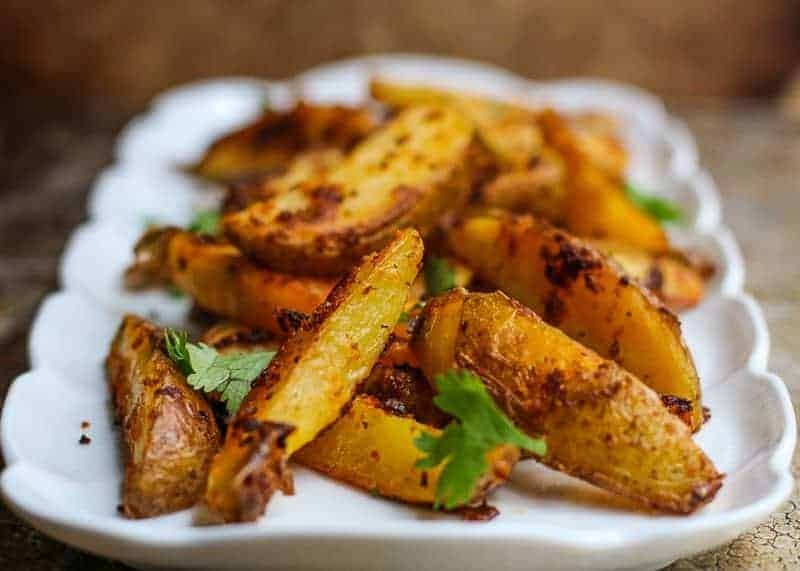 These Moroccan-Style Roasted Potatoes have a sweet & soft inside with a savory, salty crunch on the outside. The trick to preparing is parboiling & steaming. The result is crispy roasted potatoes. Boil whole potatoes 6 to 7 minutes to parboil them. Remove from heat. Drain pot. Leave potatoes in pot and cover with a lid to steam dry for 3 additional minutes. 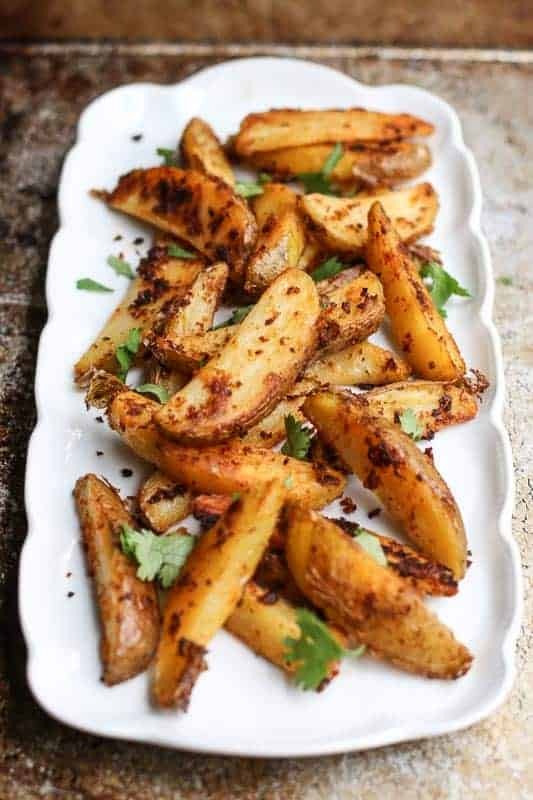 Evenly coat potato wedges with 1/4 cup olive oil for roasting. Sorry, Nan! Juice from half a lemon. Yum! 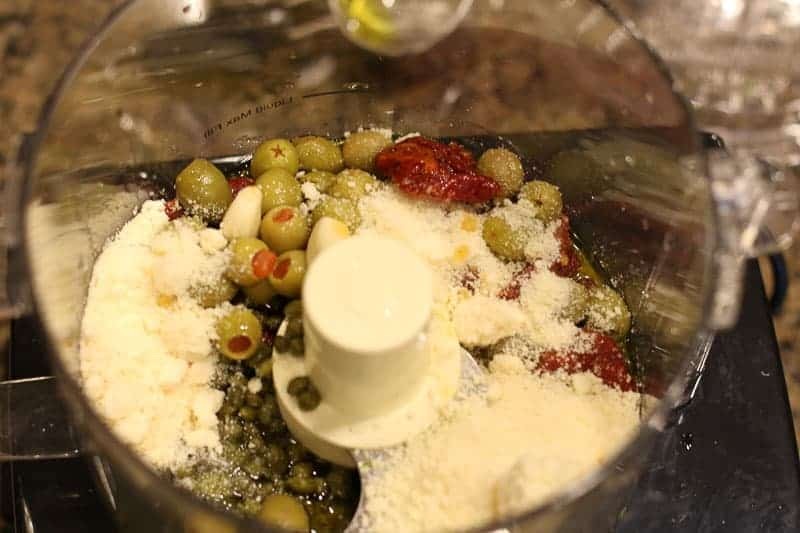 I love the combo of capers, olives, and potatoes. Will definitely have to try this. 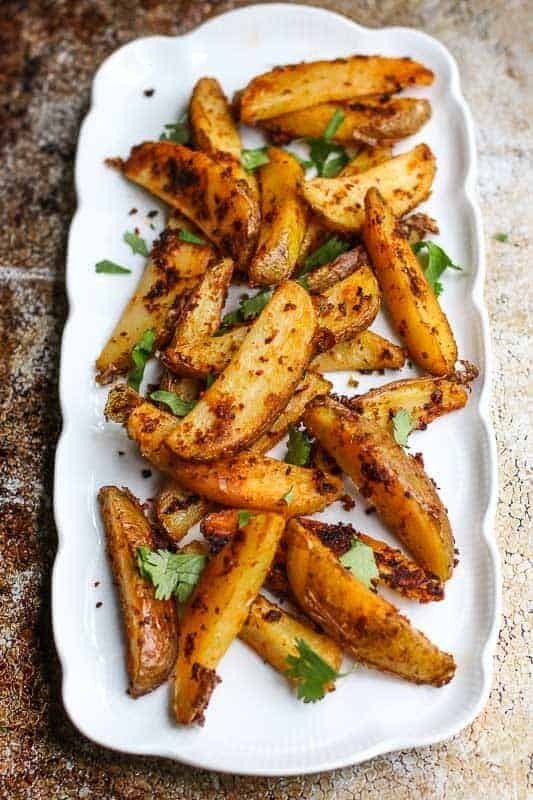 These wedges look fantastic! Love the technique and loooove that tapenade!! I am a huge potato fan. These sound amazing, I need to make them ASAP! I am always looking for new flavors with roasted potatoes. My family will love this one. Yes, parboiling is the way to go. The flavors in these taters sound incredible!